Car park Opens 8.45am and its all over by about 1pm - make a day of it and enjoy the food stalls, bouncy castles, face painting and Band. 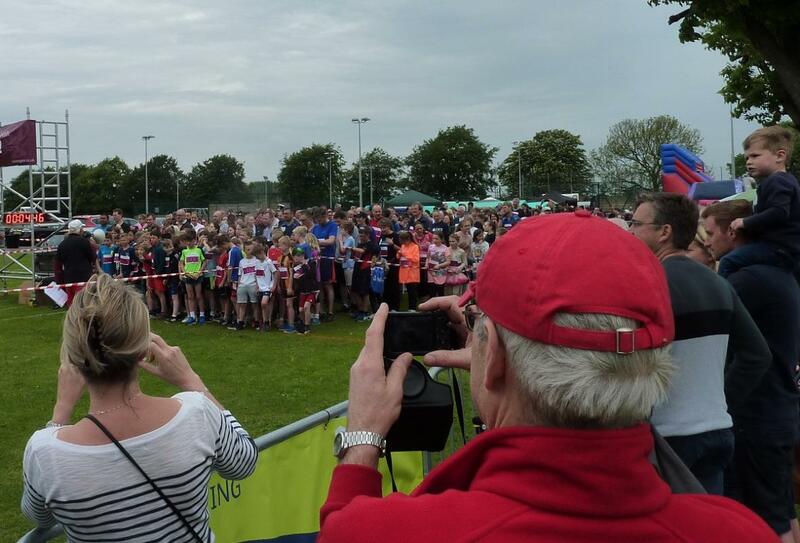 Hundreds of Runners of all ages come together in this fun well-organised occassion each year and raise thousands for charity. Stewards and helpers are always welcomed to spread the work and ensure things run smoothly. The atmosphere is always light and positive and all ages and abilities take part, sometimes alone and sometimes in groups - fancy dress is very popular. Routes of varying difficulty are on offer so the day can be a suitable challenge for any candidate. This is the second year that we have helped out with hands and energy - a great event. LET DAVID KNOW IF YOU ARE AVAILABLE ! !